Exquisite Collection of Larimar Jewelry by renowned Native American Artisans to compliment any Style or Budget. 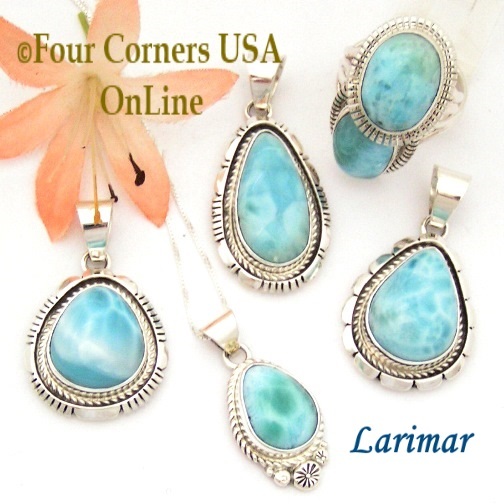 Choose from a quality selection of Larimar Pendants, Cuff Bracelets, Earrings and Rings. We are proud to present this beautiful assortment of Larimar gem quality specimen stones set in Sterling Silver. Larimar (jewel of the Caribbean is a very attractive mineral with an absolutely one-of-a-kind, beautiful color.